Is Braden Smith the best guard nobody is talking about? The New York Giants have plenty of decisions to make regarding the reconstruction of their offensive line. Their best players are all free agents, including Justin Pugh, the leader of the unit. Pugh has proven himself valuable to the Giants since being selected in the first round of the 2013 draft, with his versatility allowing him to play multiple positions as injury has shuffled and re-shuffled the line, emerging as a very good left guard, and as a leader on the offense. However, his potential free agent contract combined with his injury history might lead to him playing elsewhere in 2018. The Giants might, however, might want to find another player like Pugh to bolster the interior of their line. 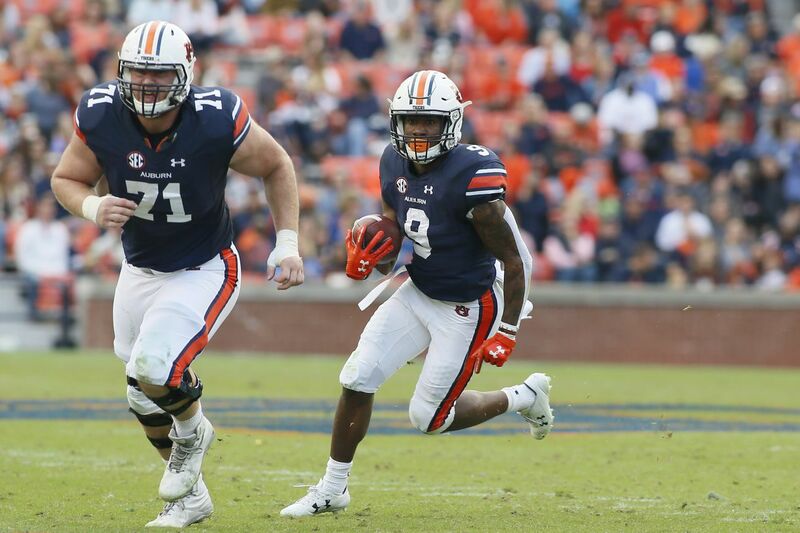 Auburn’s Braden Smith gets lost in the shuffle, but he could be just the lineman the Giants are looking for. Athletic, well balanced lineman. Reliable in pass protection and moves very well in space. Good hands. Consistently works to get inside leverage on defenders. Versatile. Former offensive tackle, transitioned to right guard, plays jumbo tight end in some packages. Nasty. Consistently looks to finish with the defender on the ground. Played in an option-based offense. Will have to adjust to a pro blocking scheme. Frame might be close to maxed out. Might not have much upside to add weight/mass in the NFL. Occasionally a beat slow off the snap. Smith has been on my radar for some time. First as an offensive tackle who had the potential to transition inside and be a good guard (in the mold of Justin Pugh, Zack Martin, or Joel Bitonio). Then later in 2017 as a tackle who transitioned inside and became a good guard. Braden Smith isn’t the type of player who leaps off the screen at you. He isn’t massive or an athletic freak, he is just a good, solid offensive lineman. He still boasts an offensive tackle’s build with little “sloppy” weight, but he absolutely has the raw power to deal with defensive tackles, while having the feet to be effective in pass protection, on pulls, or screen passes. Smith is (currently) being projected as a mid Day-2 pick, either late second or early third round. He should be able to earn a starting job early, if not right away, and will likely prove to be a great value if that is where he goes.